How does a hopeless and homeless teenager become the author of a grace-filled and hope-infused book? How does a lad who hunted neighborhood trees to survive become a man whose Story of Hope has inspired many across the globe? Today, I am privileged to be interviewed by my friend, Eileen Knowles of The Scenic Route. Remember her here? 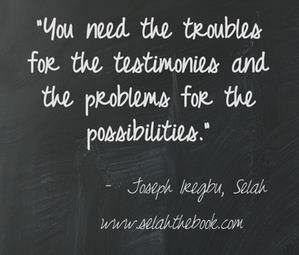 In the interview, we talked about my past, my biggest life lessons in times of troubles, and the inspiration behind my new book, SELAH: A 90-Day Journey of Grace and Hope. NOTE: The bonus offer is now closed!